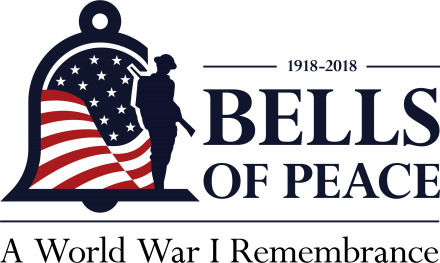 Community members can participate in Bells of Peace: A World War I Remembrance, at 11 a.m. on Sunday, November 11, 2018. World War I ended with the signing of the Armistice at 11 a.m. on November 11, 1918, bringing an end to "The War to End All Wars." Communities across the country will join in the tolling of the Peace Bells 21 times to honor the 116,516 American men and women who perished in World War I. All community members can participate in the tolling of the bells. Simply download the "Bells of Peace: WWI Armistice" app on Google Play or at the Apple app store. Be sure to have your mobile phone switched on and the app will toll the bells on November 11, 2018, at 11 a.m.
You can choose the type of bell chime you'd like the app to ring by tapping on the little bell icon at the bottom of the page. Participants may share their own messages, photos or videos via the app. The app may also be plugged into a sound system. For more information, please visit www.worldwar1centennial.org .